The Sunnymede Trust is a registered UK charity, committed to improving oral health within low income communities. Our aim is to make knowledge of oral health a fundamental part of health education. 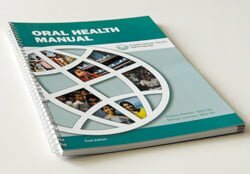 We have created useful teaching material, centred on our unique training manual, which explains oral health practice in plain language. We share knowledge in oral health with low resource communities. You can use our teaching materials, make connections, and support us. Dr Sharon Rankin set up the Sunnymede Trust in 1989 when she returned from voluntary work in Zambia. The Trust recruited volunteer dentists to visit rural communities in Africa, offer treatments and help to train local health workers. Treatments usually involved the immediate relief of pain, most commonly through tooth extraction. As the Trust continued to provide this ‘service’, they wanted to make a greater contribution towards a sustained improvement in oral health. This was achieved in 2007 when we produced the Teeth Relief Oral Health Training Manual. Now when dentists leave, they don’t take all the knowledge away with them.